22mm 7/8" Wholesale grosgrain ribbon online supplier in Australia. Vibrant craft ribbon online. See our wholesale grosgrain ribbon for our 45 metre rolls on a spool. We stock the finest quality grosgrain ribbon available! Our prices are in meters. 1 metre = 1.1 yards. 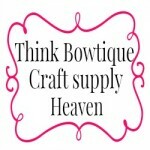 Think Bowtique for your hair bow ribbons.